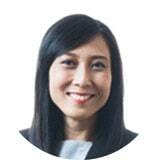 Ai Li’s experience in legal practice covers the areas of civil litigation to conveyancing matters. She was exposed to various areas of civil litigation matters including banking disputes, contractual disputes, probate proceedings, family proceedings and land acquisition. She also handled conveyancing matters such as sale and purchase of properties, bank loan, joint-venture agreement, will and succession. Joining Zaid Ibrahim & Co’s Corporate Commercial Unit in 2009, Ai Li is exposed to corporate commercial matters including corporate banking, corporate restructurings, joint venture, due diligence, mergers and acquisitions, IPOs and etc. Ai Li first joined Messrs. Chung, Huang & Khalid as a pupil-in-chamber, and was retained as legal assistant after completion of her pupillage for 9 months in year 2003. Ai Li joined Zaid Ibrahim & Co. (a member of ZICO Law) in 2009.